After viewing Chuck's film, Pure, I decided to find out a little bit more about the people and places behind it. 1. You spent a lot of time with Nalle. He's obviously a tremendously gifted athlete. Tell me a bit more about him. The first time I crossed paths with Nalle was in South Africa. 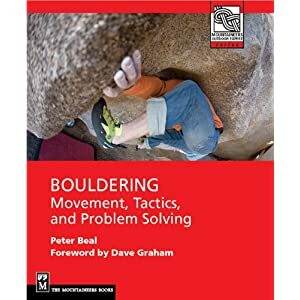 At the time I was bouldering quite well and so we started climbing together. After I saw how talented he was I asked if I could shoot some video, and PURE was born from that experience. Nalle is a very serious climber and he boulders with the kind of purpose and confidence that makes him fun to watch. Bottom line is I've spent a lot of time filming great climbers and no one looks like him on hard problems. I used to compete with Cody in the junior leagues when we were just teenagers. Then we lost touch for a little while when we went to Europe to compete in the world cup circuit. We reconnected on a trip to Baja a couple years ago and now he handles all my European business for Chuck Fryberger Films. He speaks several languages and is a very charismatic contact who is great at live events. His highball climbing is frightening because he really enjoys the process of improvisation. Cody is fairly under the radar considering how well he climbs. He recently send a .14b sport route in two tries. 2. You seem to devote a lot of time to capturing the ambiance of an area, both close up and more panoramically. How do you think about this process? I'm quite drawn to the landscape and the culture of climbing. Pure shows quite a lot of the elements of the climbers lives that surrounds their athletic achievements, and my next film CORE will have even more attention placed on those elements. Of course the bread and butter of a good climbing film is the action, so that always takes precident. Surf films have managed to succeed quite well by focusing on the character, the place, the cinematography, and all the elements other than just the action. 3. Color plays a big role in your filming. How do you keep finding the rich colors that populate the frame in your films? Good question. The style I developed for PURE was the process of quite a few tests and quite a few decisions I made in production and post production. I like setting out rules for myself... for example... every time I had footage of someone touching their hair - it made the final cut... every time I had footage of someone handing me a beverage I included it in the cut. Every time cody touches his hair I put that footage in the film. I think it's important to have a recognizable style as a director and cinematographer. And since I edit my own work I can direct a scene, shoot something random, and then include as much of it as I want in the final cut. The balance there is that it's not supposed to be a film about ME, it's about the CLIMBERS. 4.Travel and its environments was a big part of Pure. Lots of planes, roads, trains, etc. Were you trying to say something about the nomadic lifestyle that many modern climbers experience? I'm glad you noticed. It's open to interpretation why I put in so much travel footage. As Francois Nicole says in the film, traveling and climbing are important parts of what allows us to discover the world. For me personally, PURE also serves as a reminder of a very exciting part of my life... which was spent traveling and filming climbing. 5. I didn't see a lot of US climbing featured. Are the well-known locations such as Hueco, for instance, maybe played out for filming? Why is this? I just returned from Hueco, filming Matt Wilder on a recent FA for CORE... but to answer your question... the US areas get hit pretty hard with media coverage. For PURE it just happened that the sponsors I found and the talent I was working with had a greater focus on Europe... so that's where I filmed. 6. I really liked the Swiss segments. It seems you saw something special there as well. What is it about Swiss climbing and its environment that appeals to you? Well the people there are quite cool. The environment is very different from the vast and wide open western US. All the little valleys and the moss-covered forests make a very strange landscape for someone born and raised in Golden. 7.What is your filming setup? Be as technical as you want. Currently I use a Red One 4K digital cinema camera, and Nikon glass with a variety of old and new filters. I have a big crane and a dolly which are mostly reserved for my advertising work but which I do occasionally bust out for climbing films. 8. How much post-production goes into a film like Pure? How did you shape the footage to get to the final product? The editing on PURE was very fast because the style was fast and loose. I essentially just try to tell the story of the people I meet, the places I visit, and the climbing that goes on through pictures. I'm very opposed (at least in my recent work) to spoon-feeding my audience with the kind of VO that fits better on a TV program. 9. What's next for Chuck Fryberger? I've just hired my first staff member, so the business is growing quickly. I'm looking forward to doing higher-end advertising while still remaining present in the core climbing world, and I also want to continue my fundraising efforts for the Elizabethfontaine Primary School in Rocklands. Were there any extras that the download lacks? The DVD version features several extras. Some outtakes, a few extra problems, and a short called 'dove es una disco' - Italian for 'where is the disco? '.